In recent years Buick has experience most of its success with its SUVs, then large three-row Enclave and the compact Encore. For 2017, the Envision was introduced to slot in between the two. While its sedan sales have been tepid overall, SUVs have carried the brand. For 2018 the popular Enclave receives its first major redesign since being introduced back in 2008. Building upon the design first seen on the Avenir concept and then on the 2017 Lacrosse full-size sedan, the Enclave has a nicely proportioned exterior that’s evocative of the Infiniti QX60. Sleek and a bit blingy, the 2018 Enclave is the smartest looking vehicles in Buick’s lineup. A major upgrade from the previous generation, the interior has a very cohesive design with a car-like dashboard and sweeping design motifs. It comes across as a very relaxed environment in which to spend rush hour. Most changes are experienced inside when selecting the Avenir trim, which decks the cabin out with wood trim, brightwork and stitching for a very upscale ambiance. The 2017 Enclave interior had a straightforward design that aged fairly well. The 2018 Enclave interior is a definite upgrade in terms of design with its gentle curves. 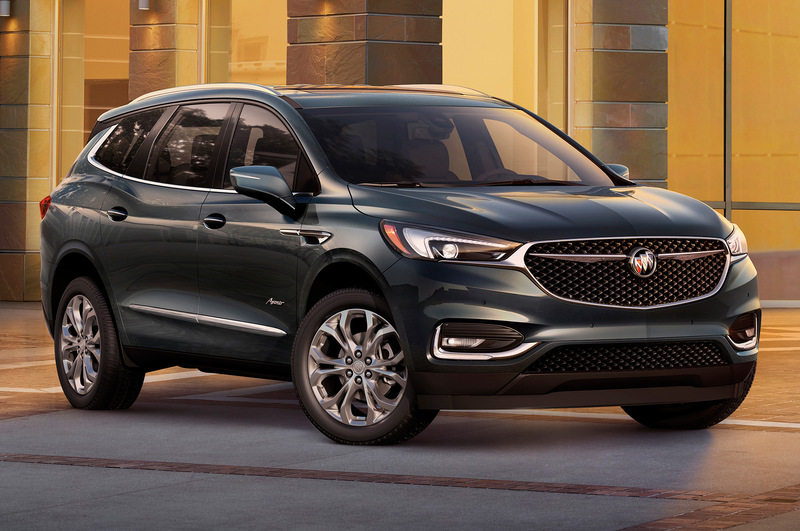 More so than any of its sedan offering, the Enclave, especially in Avenir form, exudes the understated elegance that has defined the Buick brand for decades. Hopefully, this same design aesthetic will filter down to the Envision and Encore, which do not feel special enough to wear the Buick badge in their current form. The Avenir trim interior steps up the game further with unique color combinations and materials. It might be considered wishful thinking, but if Buick were to drop the 6.2L LT1 V8 engine from the Corvette into the Enclave, it could be like the spiritual successor to the grand Roadmaster Estate of yore. Previous Post - Previous post: Who Will Kia’s Stinger Hurt The Most?